Email remains the most effective form of marketing and still drives the highest ROI than any other marketing strategy if done right. However, too many businesses waste opportunities to increase conversions because they don’t perfect their sales emails. 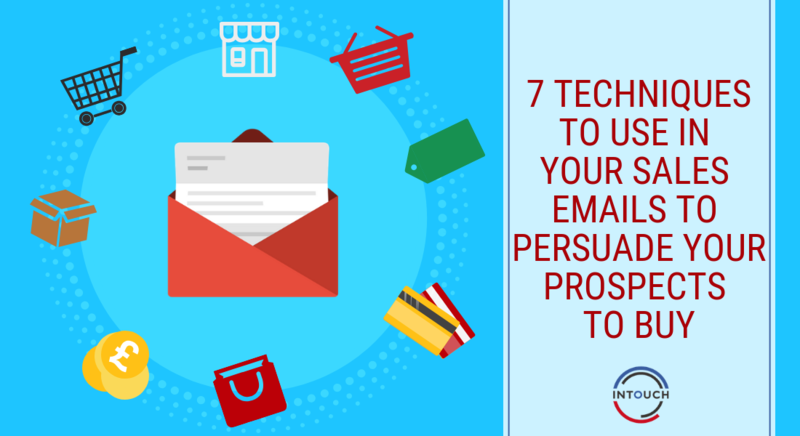 In this post, we’re going to share 7 techniques to utilise in your emails to persuade your prospects to buy. Doing your research before composing your sales email is absolutely vital. The more you know about them, the more likely you are to persuade your prospects to buy from you. Doing your research ensures you can take the right angle and really show them that you are the right company for them. If, however, you go in blind and send an email to a prospect you know nothing about, your content is highly unlikely to resonate with them or hit a pain point and they’ll press delete without a second thought. Your research should not only cover the company but also the person you are engaging with. When was the company founded? How many employees do they have? What products and services do they offer? What is your prospect’s role within the company? How long have they been with the company? Most of the answers to these questions can be found on the company’s website and on LinkedIn- some you might have to take an educated guess on but doing some prior research will really pay off further down the line. Forget listing 10 of the top features of your product. Your prospects don’t care about features, they care about the results your product will give them. Prospects buy because they want to solve a particular problem- how your product helps them achieve this solution is a secondary consideration. So, focus on what benefits your product will give them, spark their interest and persuade your prospects to buy. Sending lengthy emails to new prospects is a huge risk. If this is the first email you’re sending to your prospect- you haven’t yet built a relationship with them or earned their trust, therefore they’re likely to have very little inclination to spend valuable time reading a long email from you. So, get straight to the point- focus on the main benefit your product will provide and keep your email brief. Put your prospects at ease by taking a conversational and informal tone. People buy from people and if you’re too robotic, scripted and formal, it’ll only put them off engaging with you. 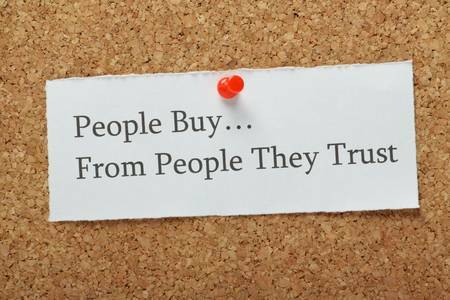 Social proof is a hugely powerful driver in purchase decisions and one that you should be using to persuade your prospects to buy. Of course, it’s important not to shoehorn them in but try providing a link to your testimonial page on your website or a testimonial video at the right time. If you’ve won any awards, display them in the footer of your email. This will go a long way toward convincing your prospect that they should buy from you because you provide proof that your product or service works for real people. It’s one thing hearing how great your product is from you- the salesperson- and another thing hearing it from an existing customer. Offering your prospect something of value, without asking for anything in return will go a long way with your prospect. Whether that’s something as simple as a piece of advice, an e-Book, a guide, a link to an article or an informative video. If you can provide them with instant value, you’ll build rapport and increase your chances of them becoming a customer, with a little more work. On average, it takes around 6-8 touchpoints before a prospect becomes a customer, therefore if you give up after 1 or 2 emails, you simply won’t close the deal. So, take tips 1 to 7 into consideration and engage with your prospect on a regular basis. Try not to be too pushy but do be persistent. “What is the Best Day to Send Emails?” And Other FAQ’s Answered!